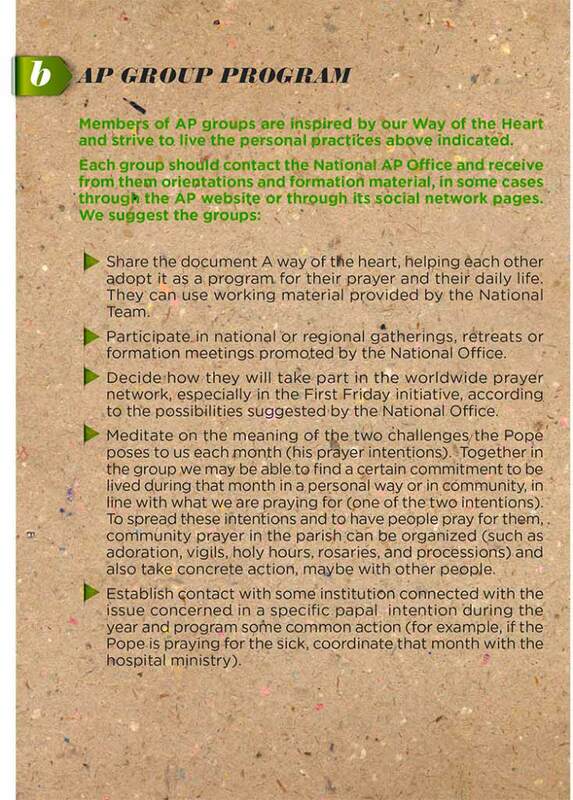 Become part of a community committed to praying with the Pope. These praying communities look for ways to serve each month the challenges to humanity and of the mission of the Church expressed in the Pope’s intentions. Besides this, they support where it exists our youth branch, the Eucharistic Youth Movement (EYM), or other pastoral programs for young people. These communities are committed to the service of the mission of the local Church. How can we make it understood that these communities should seek ways of living out, each month, the challenges facing humanity and the mission of the Church, as this is key to the success of our overall mission? These communities aim at living out concretely the service of the mission. For example, when the Church invites us to pray and exert ourselves in support of youth employment (Universal Intention SEPT15), there are initiatives that we can take. Is there in our area, our town, an association concerned with the needs of young people in search of work ? How can we inform ourselves about their activities and even offer to help them? We can make them aware that the Church, on the initiative of the Pope, is praying for them during this month, show them that we value their efforts as an important contribution to society and thank them for what they do to help young people in search of work. Similarly in our parishes; how can we support our catechists (Evangelical Intention SEPT15), how aid them in their spiritual life, so that they may live ever more coherently the link between what they announce and what they believe. In several countries there are still Apostleship of Prayer groups structured on a diocesan basis, with their own particular spiritual practices and devotions. 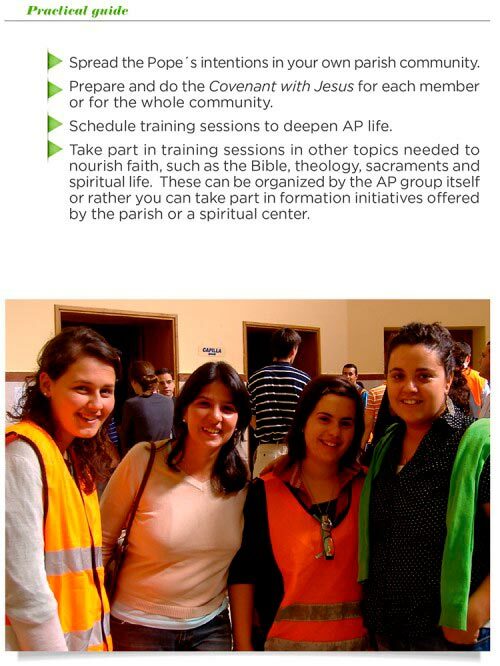 These groups are an integral part of the tradition of the AP, offering up also their daily lives to Christ and praying for the Pope’s intentions. Today, in the spirit of the current recreation of the AP and of greater ecclesial commitment, these groups are invited to embrace an apostolic dynamic at both a personal and a communitarian level inspired by the proposals made by their National Team and with the help of their respective Diocesan Directors.